A far-sighted research project based on specific knowledge and hinging on the great strength of tradition. Beginning from its history, Bocchese 1908, the ancient silk factory in Vicenza, has decided to focus on and invest in research and innovation. The firm has been engaged in silk reeling since its establishment. Spinning and twisting were started as early as the 1920s, followed by high-end silk weaving in the 50s. Today’s idea is to reinvent silk, usually perceived and worn as a summer fabric, and make it as warm and soft as cashmere. A new silk for winter with an evocative French-inspired name: a warm SOIE D’HIVERTM. Technological product research has given rise to a new contemporary style where ultra fine cashmere meets the glow of pure silk. This new material is designed, patented and developed by combining heritage with technology. As stated by the company CEO, Michele Bocchese, a new conscious approach to stun clients by inspiring and stimulating their creative potential is a key element for the current global market. In less than one year the unique, rare and precious SOIE D’HIVERTM has debuted in the major fashion houses. “When I see clothes by famous designers made with Bocchese silk” says Michele Bocchese “I get very excited and also slightly proud because this means we did a good job in meeting the set targets”. SOIE D’HIVERTM is the result of a blend of research activities and teamwork by those who saw the potential of an experimental idea and believed in it right to the end. Soie d’Hivertm was created in 2011 by the style department of the Bocchese silk factory. Its creation was almost accidental, as is often the case for the most innovative ideas. 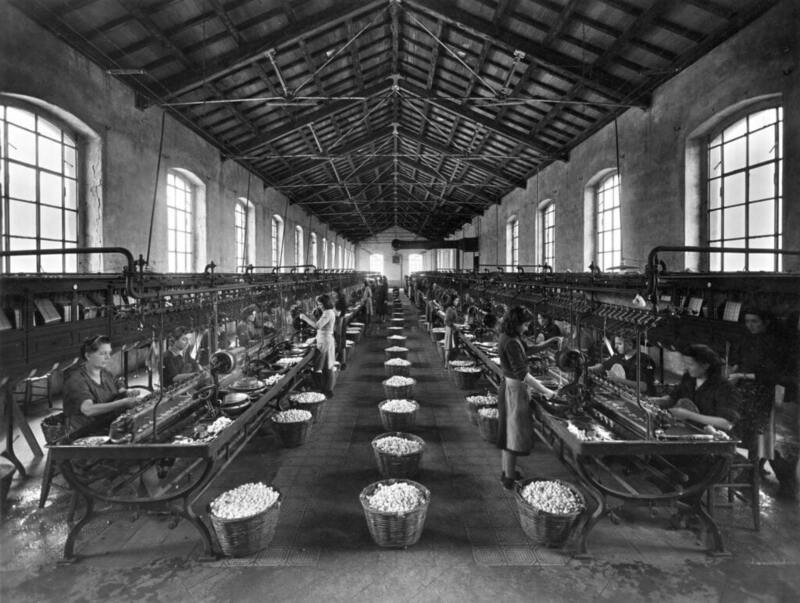 A silk fabric had been treated by mistake in the finishing phase with a machine never used for silk. The result was a soft, almost impalpable fleece, though still very different from what was going to become the new winter silk fabric. “We were attracted by the idea of transposition, transferring a summer concept (silk) to a new world of winter warmth. So we started working on it. We searched for new special threads that may suit this type of finishing, fine tuning the right treatment. We particularly worked on the finishing of the fabric to make it snug and very similar to cashmere. At the time we were about to take part in the Ideabiella exhibition in September 2011 and so we decided to patent Soie d’HiverTM (PD2011A000287)”, Michele Bocchese tells us. Michele Bocchese: “Because it is essential for our companies to protect their research, studies and know-how. This is what I also say to my colleagues at the meetings I attend as chairman of Sistema Moda Veneto. Having suggested it to others, I tried to apply this principle in practice. We must protect ourselves to foster growth in those areas that truly represent the cutting edge of innovation”. Do you think the patent will give you complete protection? Michele Bocchese: “No, I don’t think so. I actually know that there is a company that recently presented products similar to ours, or let’s say “inspired” by ours; but, apart from that, I must say that in some ways I am also pleased that in just three years since we re-launched the historical family business, we have become trend setters, with the others playing catch-up”. Michele Bocchese: “The first fashion house to believe in this innovative product was one of the most interesting brands in the men’s wear scene: KITON, the historical Neapolitan brand. They were the first to recognise the product’s potential, using Soie d’HiverTM already for the last winter collection, presenting a series of truly special coats and jackets at Pitti Uomo last January. “La Soie d’HiverTM struck me immediately for its light and softness. Most of all I liked it because it is something completely new”, stated Mr. De Matteis, Kiton’s owner. And after Soie d’HiverTM, what do you have in store for the coming summer? Michele Bocchese: “Continuing along this principle, we are going to present a strong and innovative concept for every season. Last summer we reviewed the duplicate silk, a classic Bocchese fabric. In that case we modified the looms to obtain effects that could only be achieved by using the shorter looms of the past (70 cm). We want to amaze and inspire our clients every time. The fabrics we make are not for everyone. Each product of ours has a story behind it, made of archives, dusty books about entire generations of products and especially an experienced team capable of applying creative freedom to an exclusive handcraft world”. Vicenza is about 200km from Milan a 90 minute train ride.